Preparation time: 5 mins Ingredients: 3 small apples (core and peel included, no stem) 3 tsp raw sugar filtered water to cover Instructions Wash and chop your apples into medium sized pieces (or use the peels and cores of 6-7 small apples after making a pie). Place them in a clean, rinsed and sterilized wide mouth jar. Procedure: Mix the sugar with 1 cup of water and pour on top of the apples. Add more water if needed to cover the apples. Cover the jar with a paper towel or a cheesecloth and secure it with a band. This keeps nasties away while letting the liquid breathe. 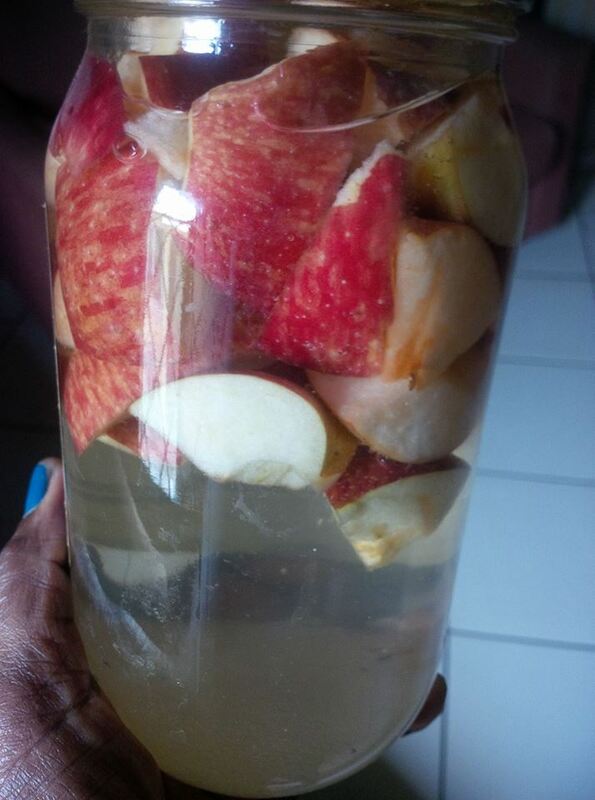 Place the jar in a warm, dark place for 2-3 weeks Strain out the liquid and discard the apple pieces. Return the liquid to the same jar and cover it again (same paper or cheesecloth). Return the jar to the same warm, dark place and leave it do its thing for roughly 4 to 6 weeks, stirring with a plastic or wooden spoon every few days or so. After the first 4 weeks, you can begin to also taste your vinegar and once it reaches an acidity you like, you can actually transfer it to a bottle with a lid and begin consumption.